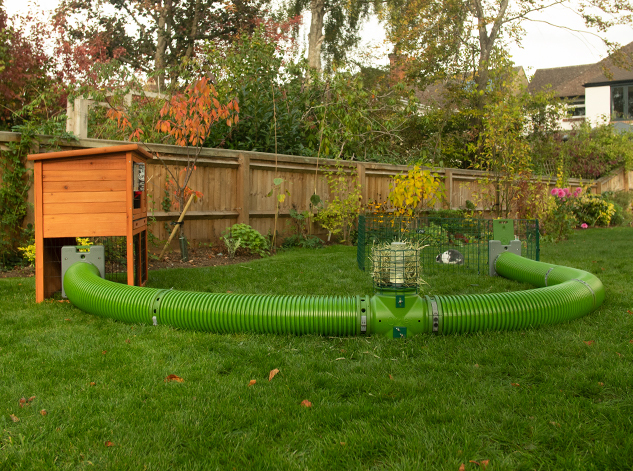 It's no wonder that people love connecting a guinea pig hutch to a run using Zippi tunnels because it's so easy to do. 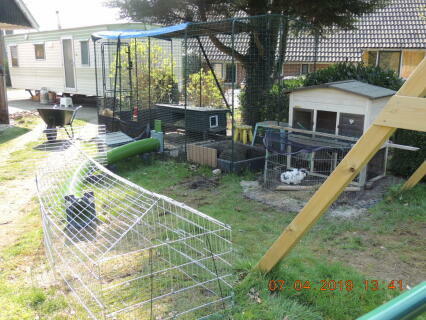 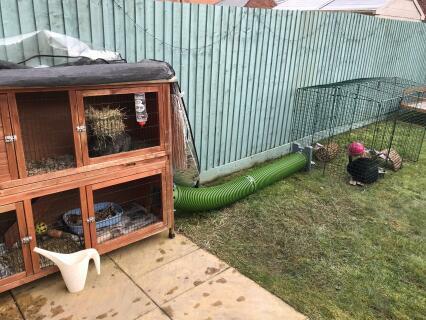 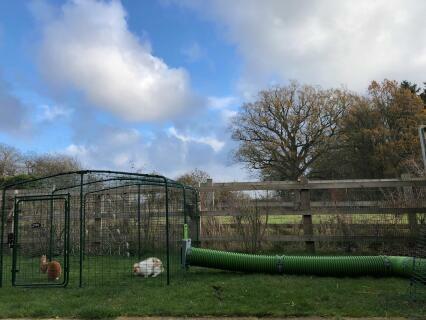 Whether you have a wooden hutch, an Eglu Go Hutch or you've built your own DIY solution you can connect it to a guinea pig run in just a few minutes. 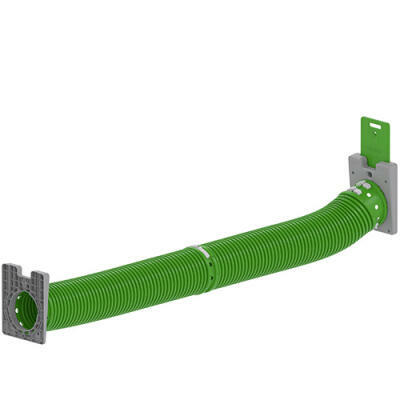 A Zippi door frame comes complete with the fixings you need and clear instructions. 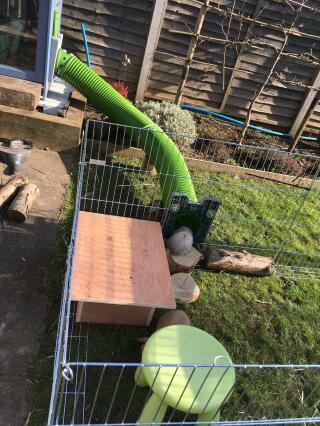 The door frame measures 31cm high by 25cm wide and is designed to fit any make and model of guinea pig hutch. 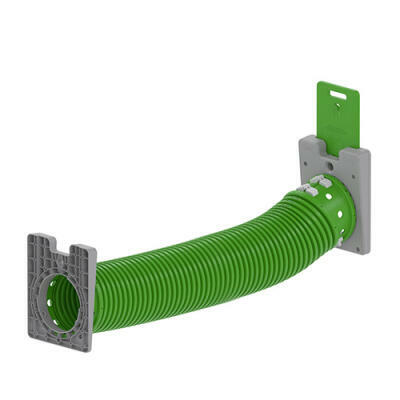 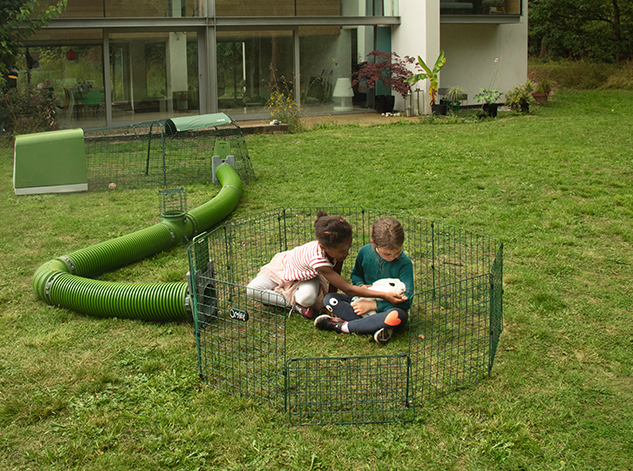 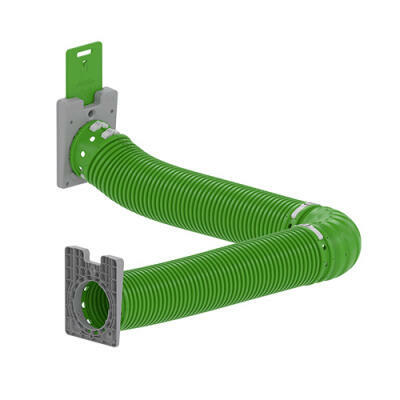 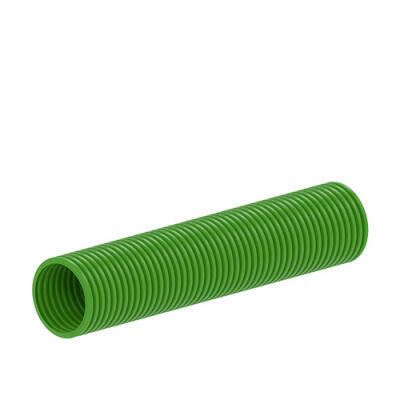 Zippi guinea pig tunnels are 90 cm long and you can join them together quickly and securely using Zippi connectors. 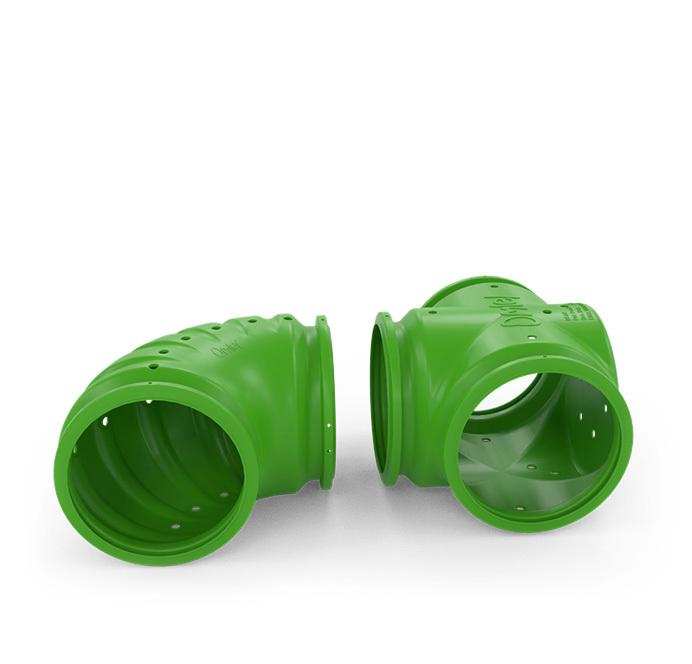 You don't need to use any tools to add and remove sections, simply push the twin button locking mechanism. 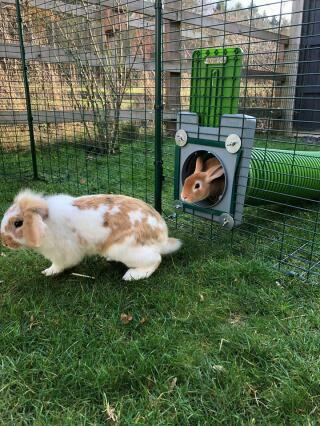 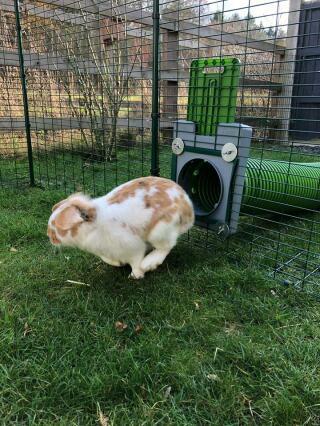 The Zippi tunnel system means you can keep your pets hutch close to your house (for easy food and water top ups) whilst giving your guinea pigs the run of the garden with fresh and free grass everyday! 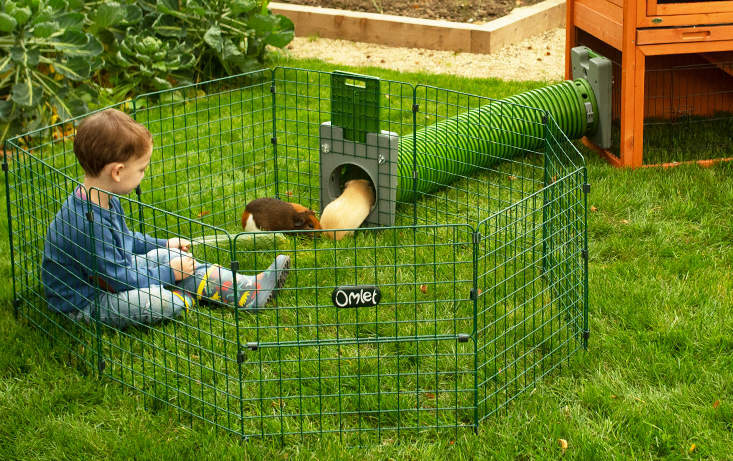 Guinea pigs are naturally curious animals, they like exploring and will immediately know what to do when they see a Zippi tunnel! 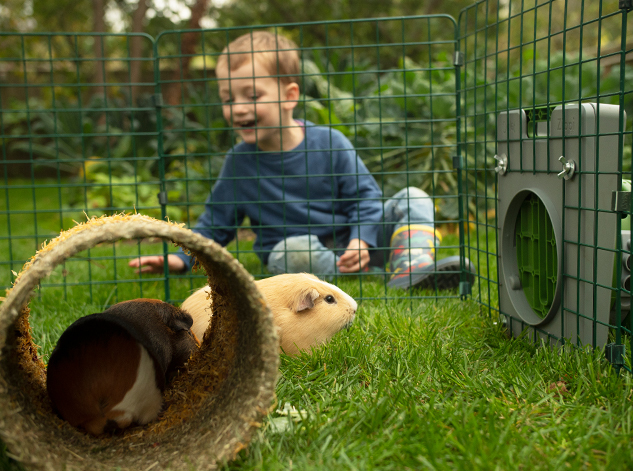 Having a fully enclosed run or an open playpen that you can use when you want to spend time with your guinea pigs is a great way of enriching your guinea pig's habitat. 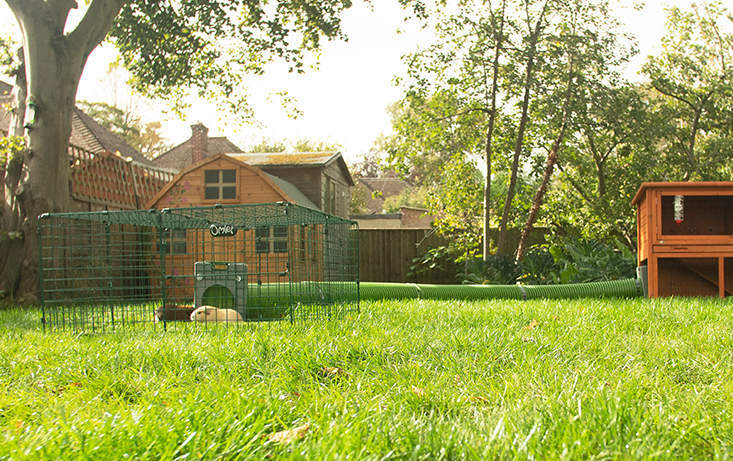 They will benefit from the increase in exercise and you'll enjoy being able to spend time with them. 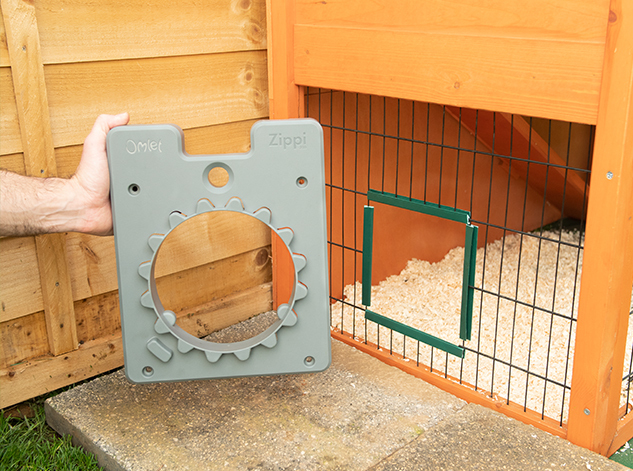 Zippi has been designed to connect to any type of run including the new range of Zippi Pet Enclosures and Omlet’s Outdoor Pet Runs. 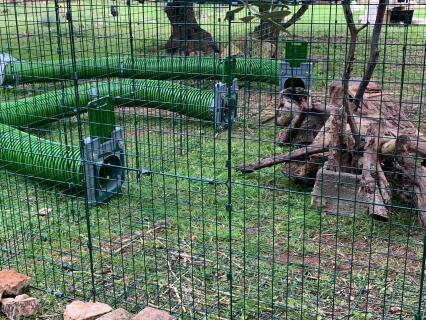 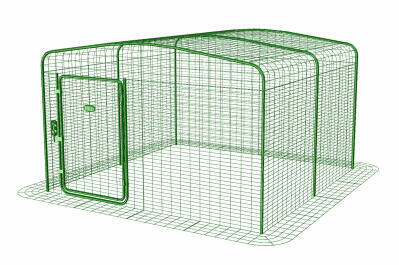 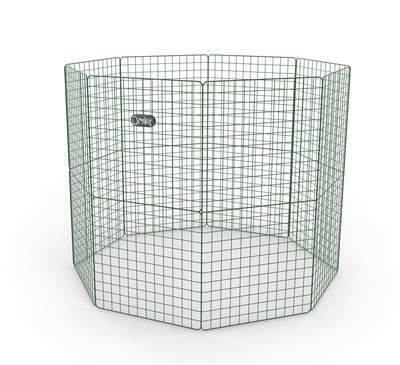 The Zippi system has a T-Junction which makes it easy to add additional playpens or enclosures. 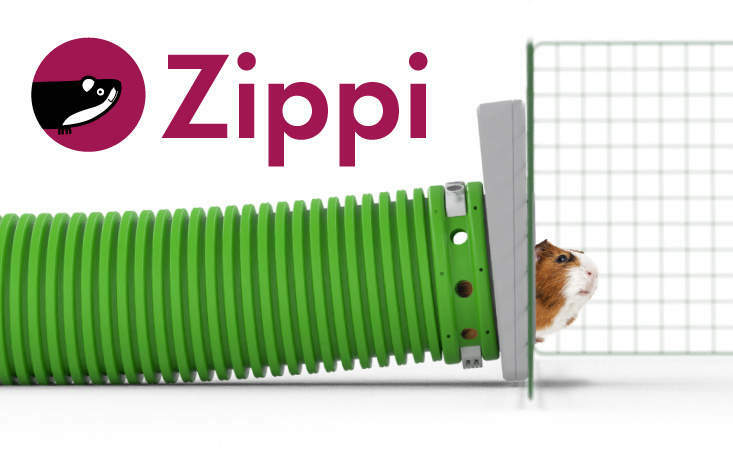 You can control your pet's access to any area by using a Zippi Frame with door which you just open when you want to allow your guinea pig to access. 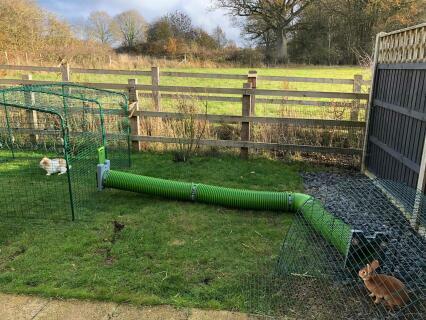 Having your guinea pig's hutch next to your house is ideal for being able to check on them and replenish food and water daily but it might not be the best place for a large run. 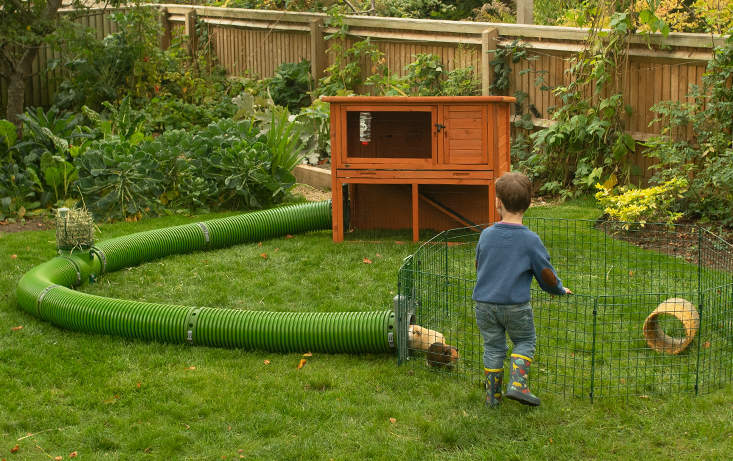 By using a Zippi tunnel system you can keep your guinea pig's hutch by your house and place a run further down the garden. 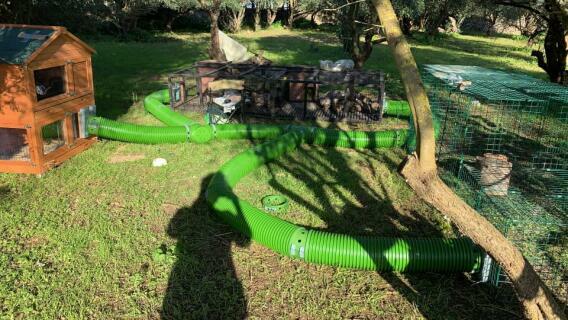 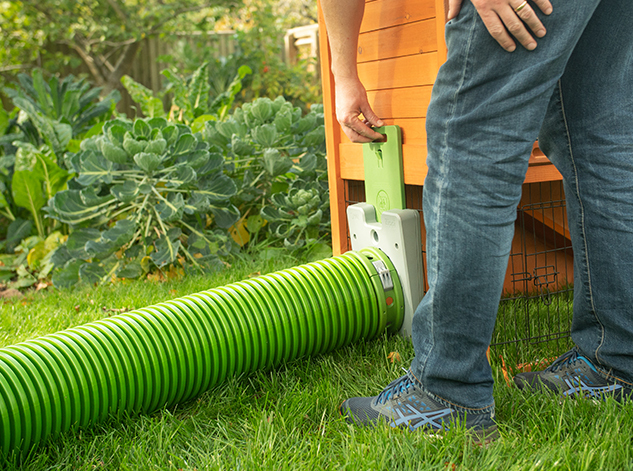 You can run the Zippi burrow pipe behind a shed or wood store and using a Zippi corner create a 90degree bend where you need it. 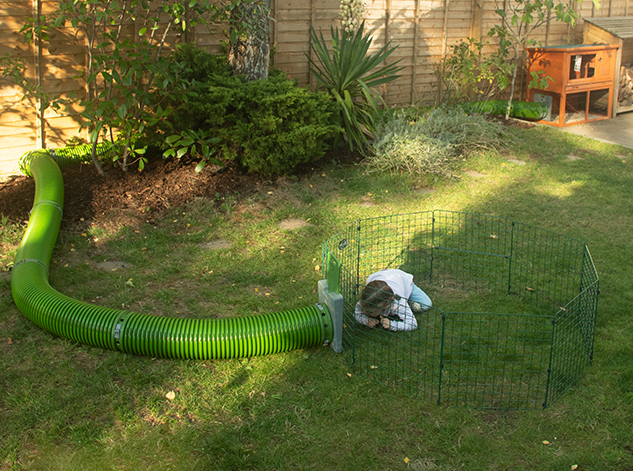 The Zippi tunnels are flexible so you can also easily move your guinea pig’s run around the garden without having to move the hutch itself. 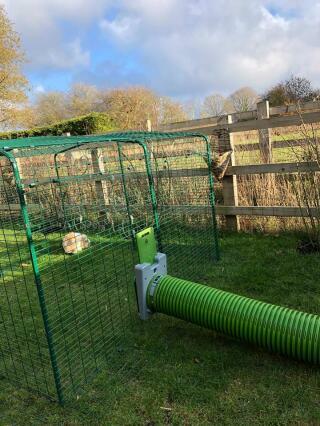 You can continually change the setup of the tunnels as the connectors are so easy to use and give your guinea pig a fun and varied enclosure. 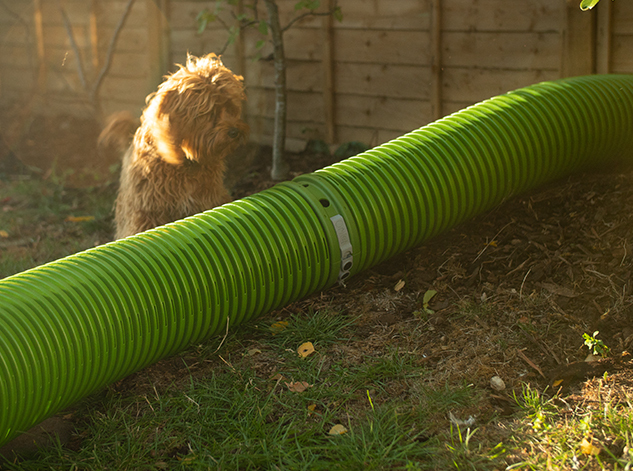 Whether your garden is long and thing or wide and narrow you can optimise the space by using the Zippi tunnel system. 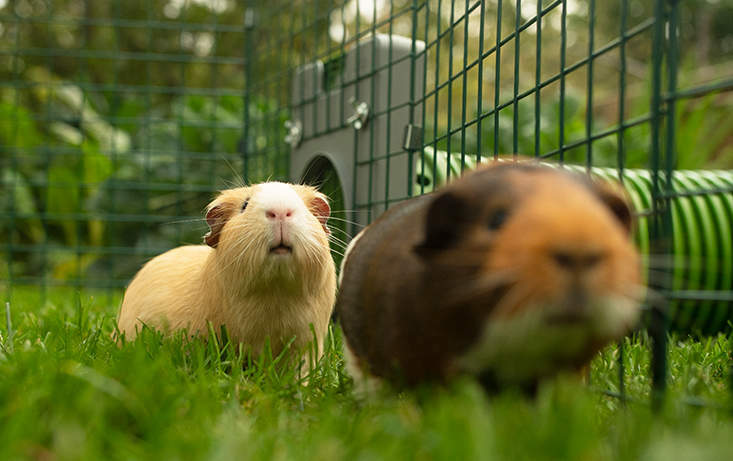 Easily placed in and around flower beds, behind rockeries and over patios your guinea pigs can have daily access to a run in a part of the garden that would otherwise be out of reach. 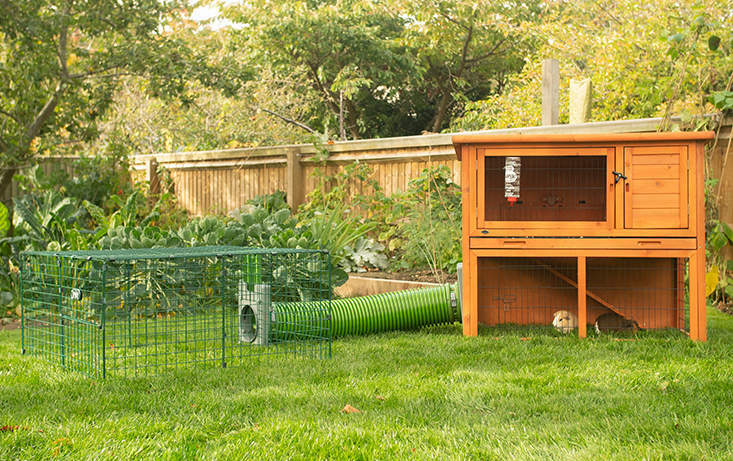 All this without having to pick up your pet everyday to move it between it's hutch and run. 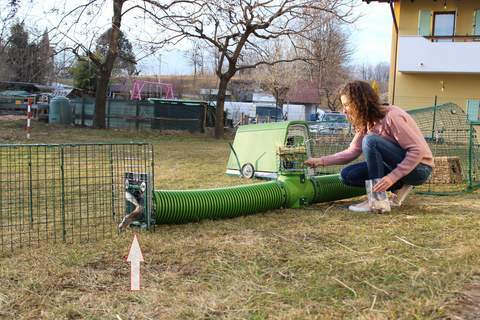 Using Zippi to move a run you could even use your pets as an environmentally friendly and fun way to mow your lawn! 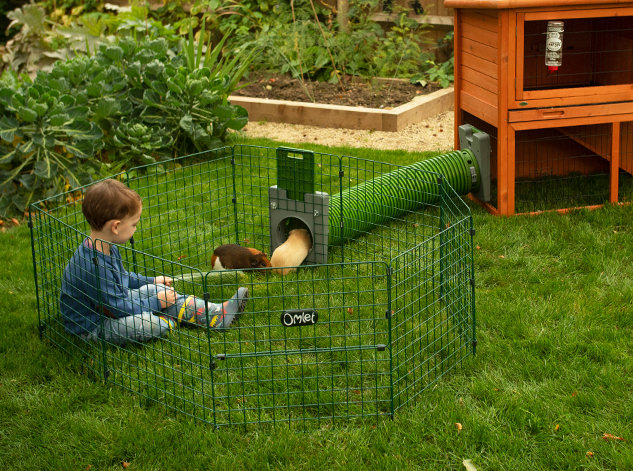 Children of all ages love watching their guinea pigs run down the Zippi burrow pipes and pop out to say hello! 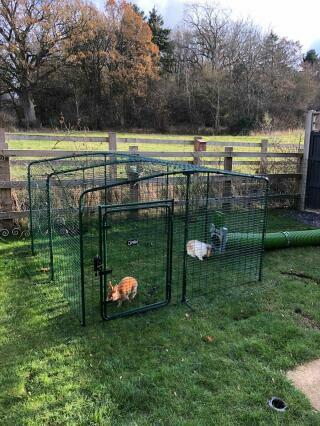 The whole product has been designed with young ones in mind and if they are confident enough with their pet then they can operate the frame doors and even rearrange the tunnels themselves. 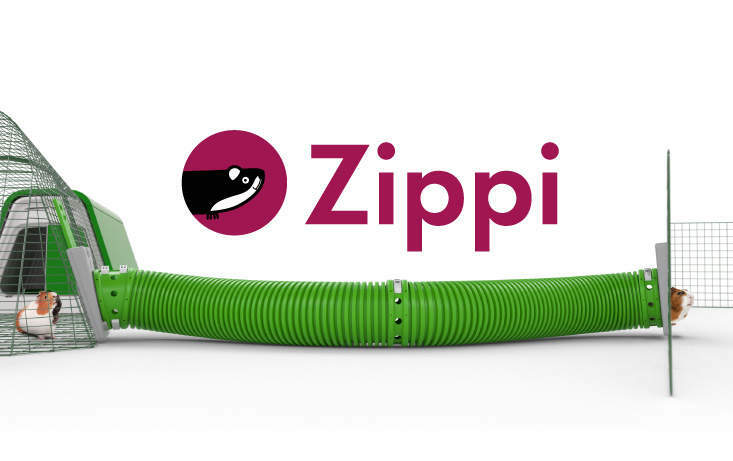 If you don’t want your children to be able to undo the connectors then you can completely secure the connectors with the screw locks which come free with every Zippi connector. 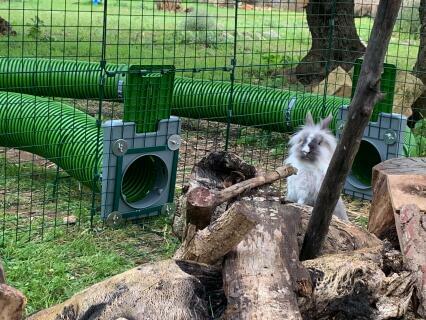 You can upgrade your Zippi T-section with a dual use Hay Station that doubles as a Look-Out tower. 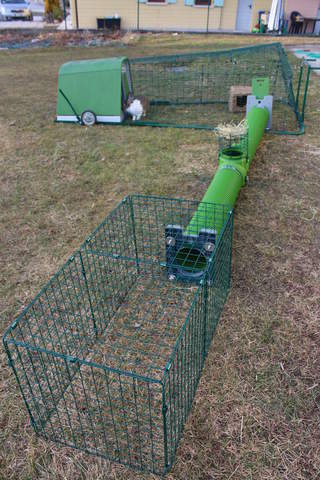 The Hay Station comes with a water bottle holder and kids can easily fill the container with hay or other fresh vegetable treats. 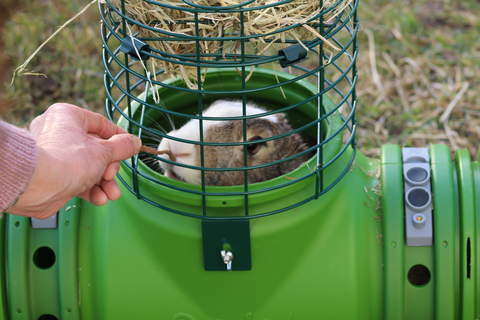 By attaching the base of the Hay Rack to the top you can convert it into a Look-Out. 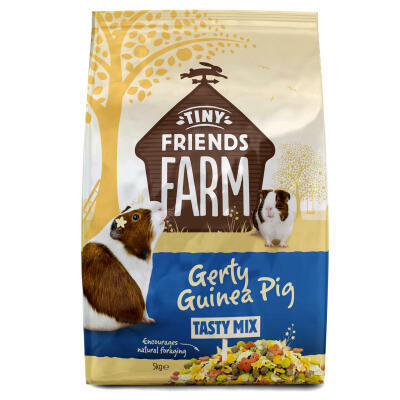 This is a great alternative use and one you and your guinea pig will enjoy. 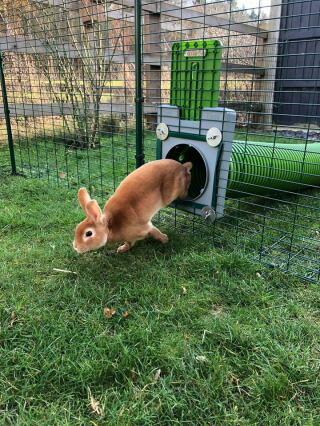 Children love waiting by the Look-Out to spot their pet as they explore their Zippi tunnel world! 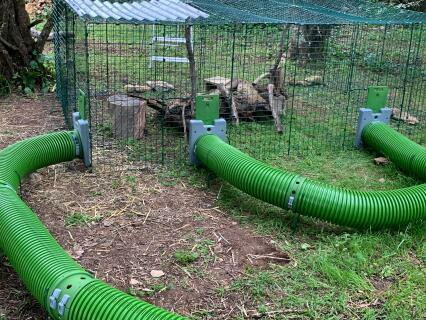 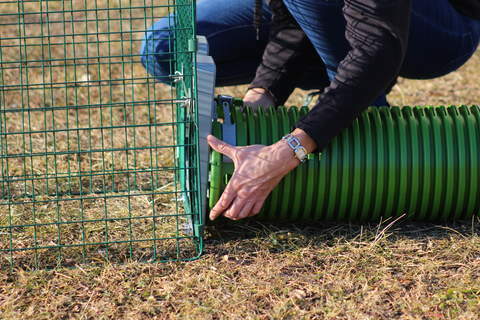 The Zippi Tunnel system is designed so that it can be easily and securely connected to the run of the Eglu Go Guinea Pig Hutch. 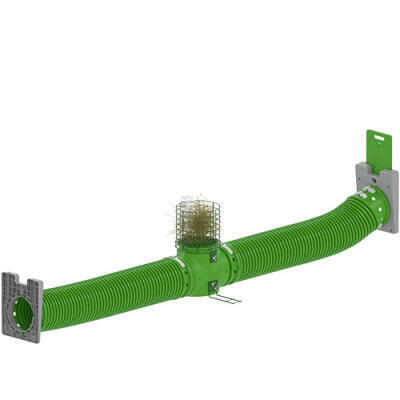 The Zippi Frame can simply be attached directly to the run (all fixings are supplied). 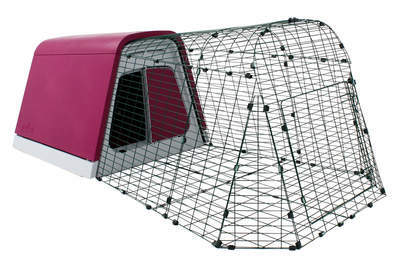 You can then connect to any type of run including the new range of Zippi Playpens and Runs and Omlet’s Outdoor Pet Runs, giving your pets even more space to exercise. 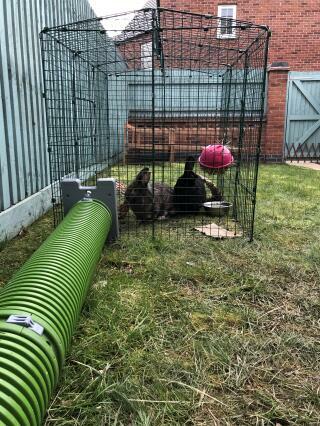 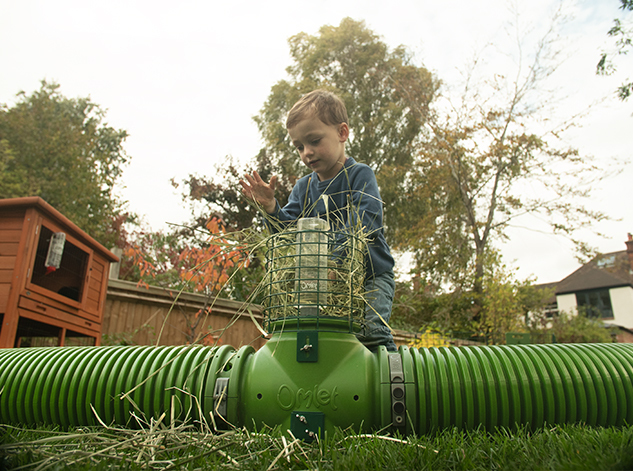 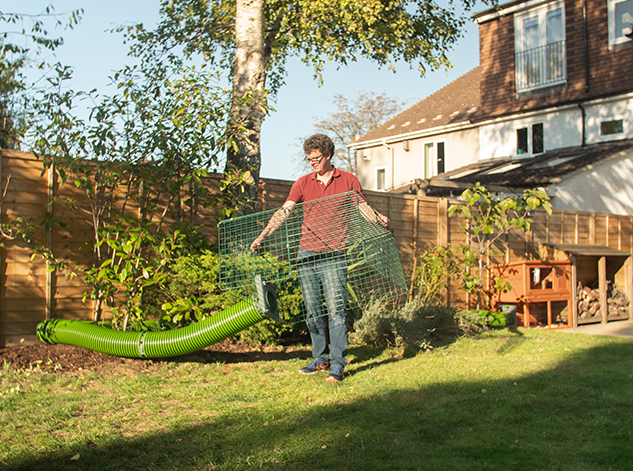 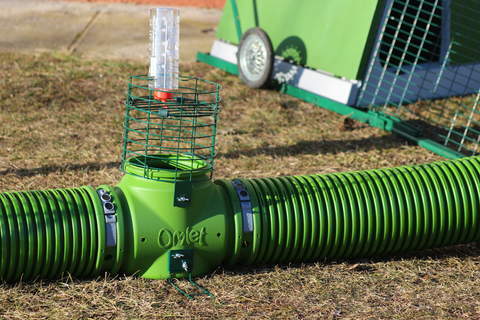 The Zippi Guinea Pig Tunnel System can be lifted from the ground thanks to Omlet’s specially designed Zippi support hoops. 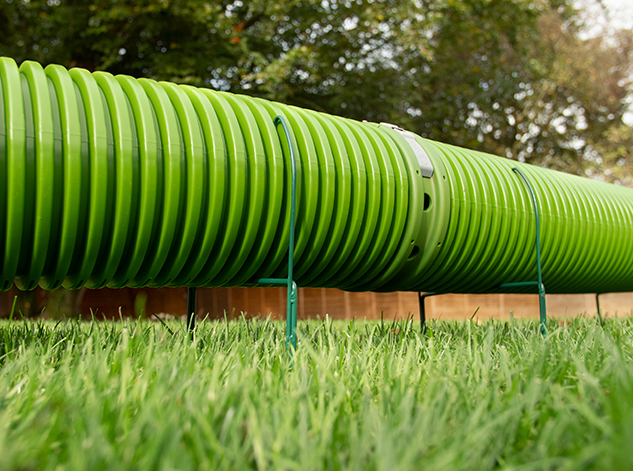 This thoughtful detail will allow the grass under the tunnels to keep growing leaving your lawn in perfect condition. 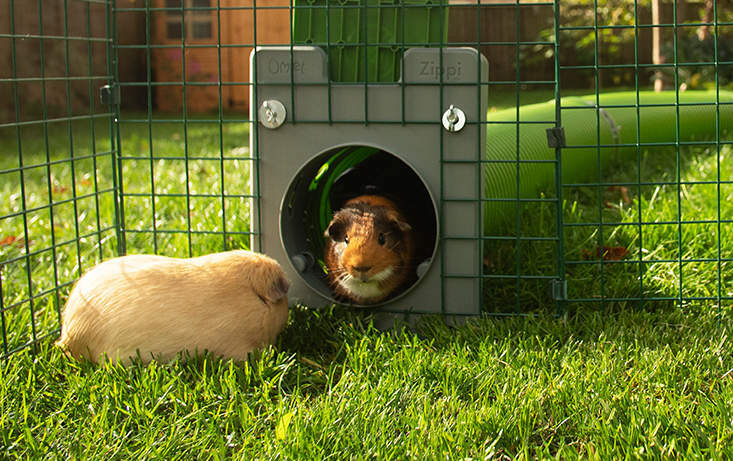 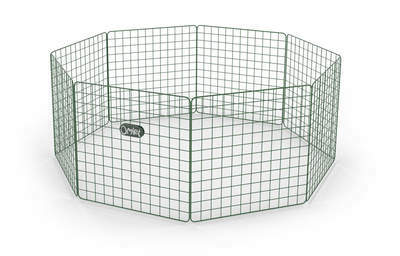 You can also use the strong steel support hoops to steer your guinea pig’s activity tunnels around a tight corner or tree.